The Chamonix Valley has five different ski areas with skiing from the complete beginner to the internationally acclaimed expert descents.From the beautiful tree lined piste’s of Les Houches to the infamous Grand Montets there’s something for everyone. There are two types of ski pass offered, the Chamonix Le Pass or the Mont Blanc Unlimited. Please see the prices and details of each pass below and don’t hesitate to speak to your concierge if you are unsure of which pass is right for you. We can have your skipasses waiting in the chalet for your arrival as well as your ski equipment delivered to the chalet so you can get straight onto the slopes as soon as you arrive. Starting at the lowest part of the valley, Les Houches ski area starts at 950m and reaches 1900m at its highest point. This ski area is renowned for offering more gentle skiing than some of the other Chamonix ski areas, with wide, flowing tree-lined pistes and fantastic views of Mont Blanc. A dedicated family area at the top of the Prarion makes it a great place to come with little ones. Brévent and Flégère are the only two ski areas in Chamonix that are linked together, offering you more varied terrain and at a higher altitude. You can ski from the very top of Brévent at 2525m all the way back to the valley floor at 1035m. You’ll also find a small snow park here and a speed piste where you can record how fast you can go. These are good places to come to for intermediate skiers. Heading further up the valley you reach Grands Montets ski area, which offers much more challenging runs than the other ski areas in Chamonix. From 1235m to 3300m it’s certainly the highest place you can ski on piste in Chamonix* and with one of the longest black pistes around and plenty of off-piste potential, it’s a favourite with more accomplished skiers. 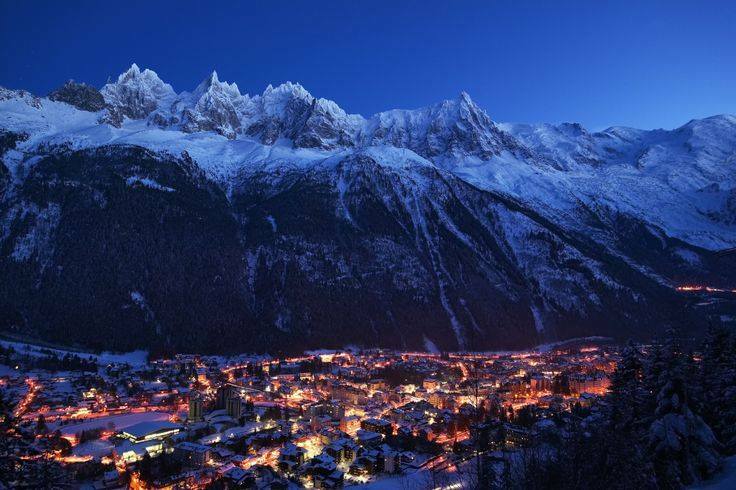 At the far end of the Chamonix Valley is the Balme ski area, comprising of Le Tour and Vallorcine. This is a good place for intermediate skiers, plus those looking to practise their jumps and flips in the extensive snow park. Chamonix is also world renowned for its almost endless off-piste skiing opportunities and the infamous Vallée Blanche ski descent, which you should only undertake in the company of an expert local guide. *please note that the top cable car at Grands Montets is under repair during the 2018-19 ski season.